Alex and I have decided not to do anything too crazy on Valentine’s Day. We are going away next weekend and we really wanted to save money, so we’re not going overboard on a holiday on the worst day of the week… a Tuesday. My problem? I love giving gifts. It’s why I love holidays. Oh gosh it’s my favorite thing. So I decided to go out and make a cheap and easy gift for him. My boss told me about this online company called Chocomize, which allows you to build your own chocolate bar with really crazy ingredients like gold flakes and rose pedals and all sorts of crazy spices. Alex loved the site, but he wanted to use his favorite candies, like Nerds, Sour Patch Kids and SweeTarts. The kid loves candy. 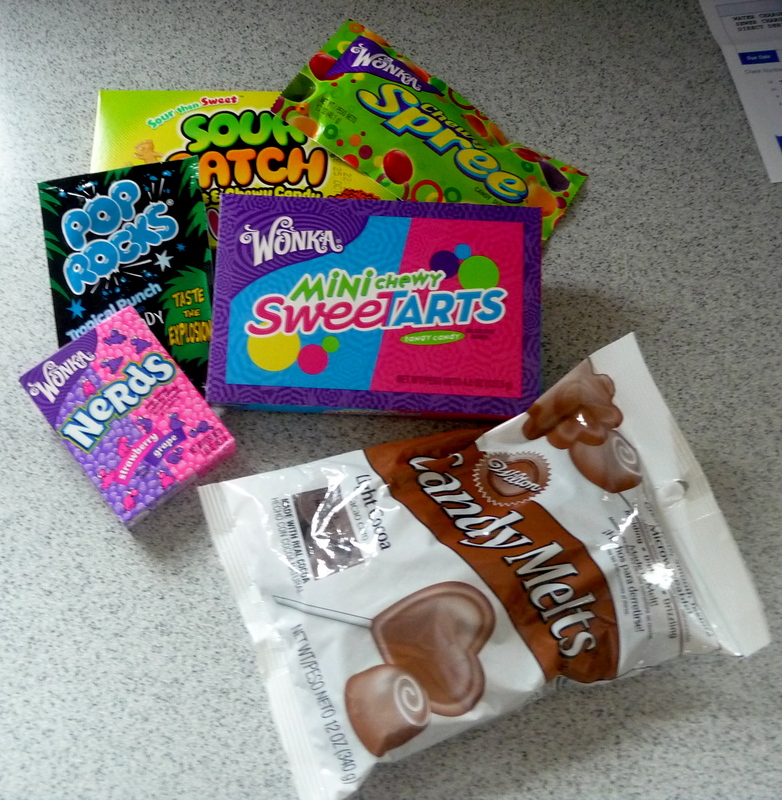 So this morning I went out to the craft store and got meltable milk chocolate, then headed over to Five Below to pick out his favorite candies. The chocolate cost about $2 and each box of candy cost around $.89, so it came to about $7 for a gift. If you’re a candy maker, you might already have a mold to make a chocolate bar, or if you wanted to go out and buy one go ahead, but I decided to save three bucks and use the lid to a small shoe box that I had (from those amazing Target flats I blogged about a week ago). I took the lid and wrapped it in wax paper, then taped the sides down on the underside and voila! 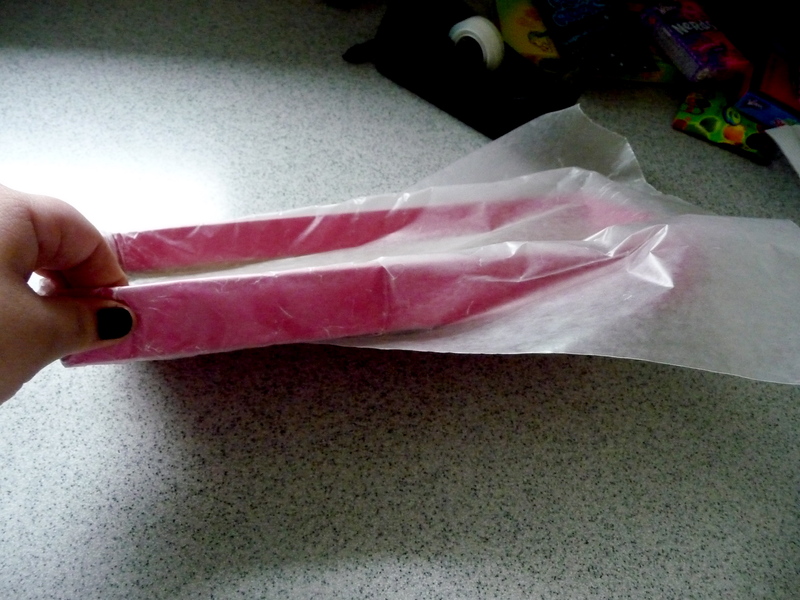 A free candy mold! Next step is melting the chocolate and getting all of your candies ready. 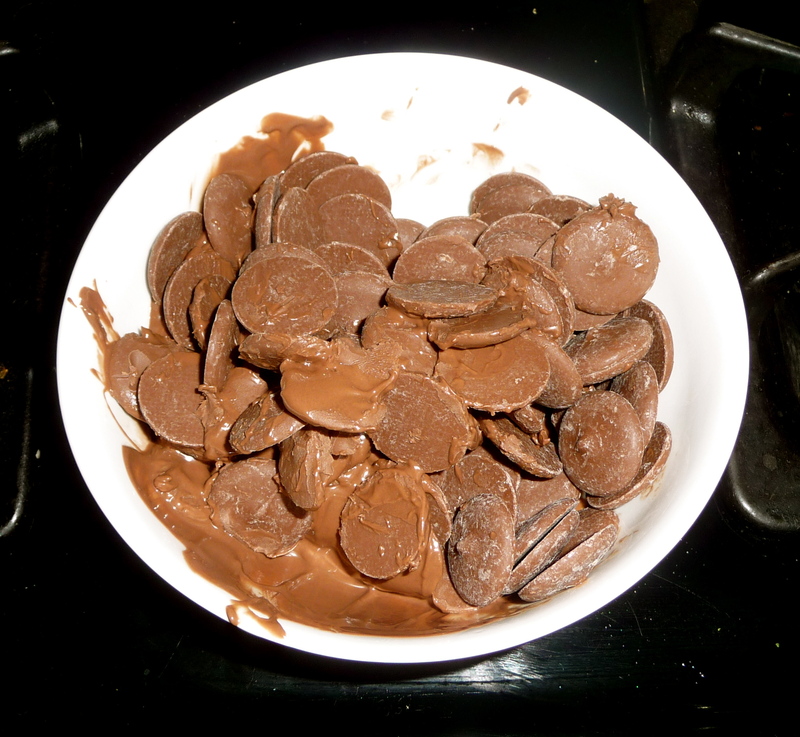 Pour the bag of chocolate into a microwave-safe bowl and microwave for intervals of 30 seconds, stirring every time. This takes a lot faster than you would think. For me it took around 2 minutes to get everything completely microwaved, and in that time I had opened all of the candy and gotten it ready. This is actually more important than you’d think: You don’t want the chocolate to harden before you can get the candy in. Pour the melted chocolate into your mold. To make sure it was all even in the mold, and to get the bubbles out of the chocolate I tapped it against the counter a couple of times. You’ll see the bubbles rise to the surface and then pop! Then comes the fun part: the candy! Just go nuts. How am I supposed to explain how to decorate, it’s all up to you! 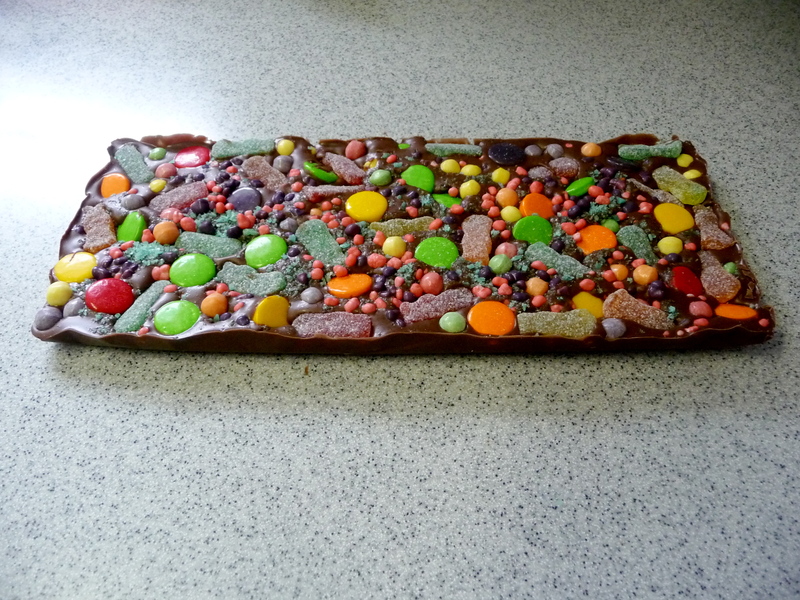 This bar of chocolate is pretty huge: it used up one full box of Nerds, a bag of Pop Rocks, Spree, Sour Patch Kids and SweeTarts. AKA Alex’s fantasy candy bar. 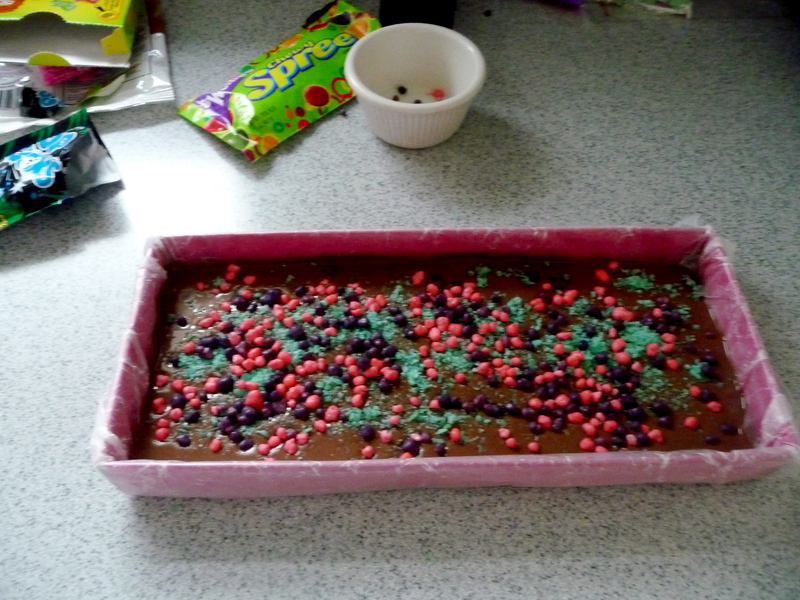 Pop the candy bar in the fridge for 10 minutes or so, unmold and you’re done! You can put anything into this so that it matches whoever you want to give it to. They also have a ton of other melting chocolates. I almost went with a dark chocolate mint, since Alex loves anything mint chocolate chip, but I figured it wouldn’t go with all of the candies, so I stuck with milk chocolate, but the world is yours! 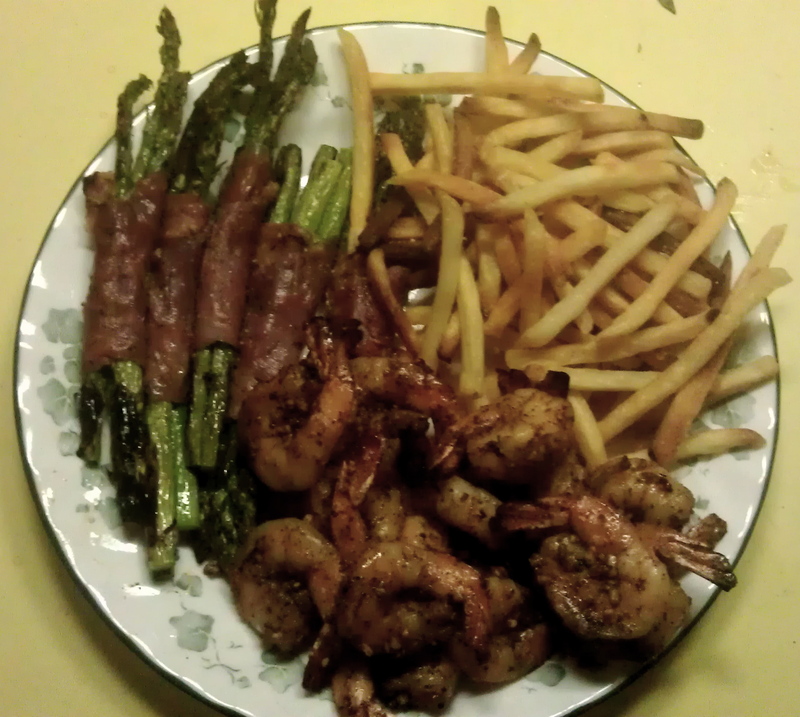 After refrigerating this project took me about 15 minutes. Seriously. And it only cost me $7! It took longer for me to write this post than it did for me to make this gift, and I’m completely thrilled with it. I can’t wait to give it to him, it’s absolutely perfect. Categories Arts & Crafts, Celebrations, Love, Try This!